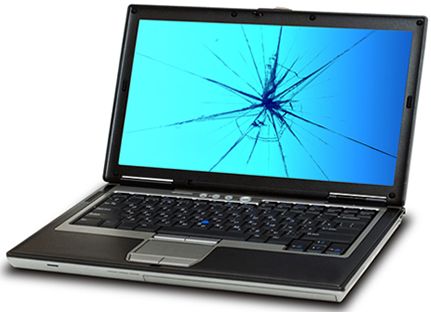 The screen of any laptop can be broken in various circumstances, like if you accidently dropped it on the hard floor or a sharp and heavy thing hits the screen while it is still powered-on. Laptop screen repair is easy if you have all the equipment and the replacement screen, Just follow these steps below to install the new screen on your laptop. 1. Phillip screw drivers in small size: To remove all the screws from the bezel. 2. Safety pins to detach: To strip off the cover stickers that are concealing the screw on the laptop’s cover. 3. A thin flat object: to lever open the screen bezel from the case. You can also use a plastic putty knife for his purpose. 4. A piece of magnet: to keep all the screws in one place so you don’t lose them. 1. Remove the battery of the laptop. 2. Locate the cover stickers on the screen bezel. They must be near the screen hinges. Once you have found where they are, detach them with the help of a needle or safety pin keeping in mind that you have to place them back as well. So be careful while prying the sticker away. When done, keep the stickers in a safe place and handle it carefully so that it still has its stickiness. 3. Now detach the screws that are visible after the removal of cover stickers. They will come off easily so there is no need to apply a lot of pressure which can distort their shape. 4. Once done, start pulling the screen bezel from the rear case of the screen but do this very carefully. You may need the help of the thin plastic knife while prying the screen bezel away. 5. When you have finished removing the screen bezel you will spot the exposed LCD surface attached to a thin frame. Remove the screws holding them together with the back cover. You can now easily remove the LCD screen (along with the thin frame) form the back cover. 6. Locate the screws which are holding the LCD with the thin frame. Detach them. Now free the LCD from the frame and set it face down on the keyboard. 7. Remove the video cable with a gentle pull from the back of the LCD. There is usually a tape securing the LCD with the video cable. You need to remove that too. 8. Now you have fully detached the broken LCD. You can replace it with the new one by first putting the new LCD face down just like you did for the broken one. Now perform all the previous steps in reverse order while reassembling. 9. When you reach the step where you have to attach the screen to the bezel just gently push the bezel back into the snaps of the rear case. This is important otherwise there will be cracks open around the screen case. 10. Reattach the cover stickers and put back the battery. Now test your brand-new laptop and rejoice! If you are not sure on the instructions and don’t have any equipment for the repair, please contact Nearby laptop screen repair Store to get support.